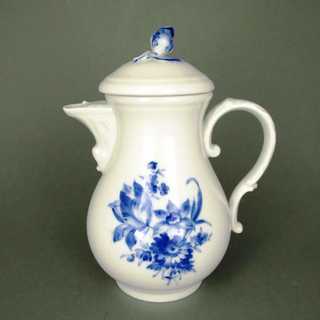 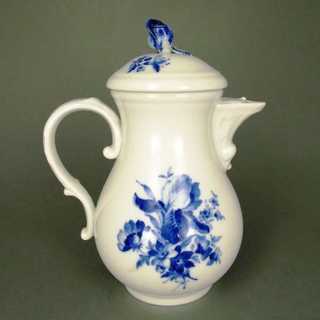 Coffee pot with blue flower motif. 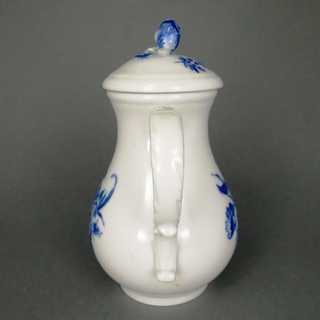 Small ring base, pear shaped body, sput with pressed relief, scrolled rocaille-handle, domed lid with rose knob. On the body two big bunches of flowers from the series "Aquatinta". 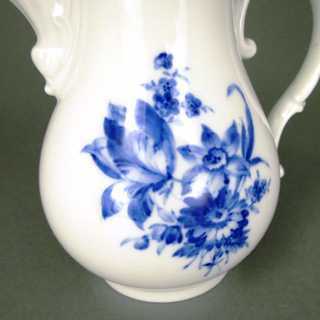 On the one side with tulip, narcissus and prob. chrysanthemum, on the other side with iris and pasqueflower. 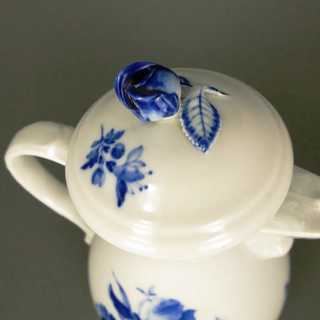 Butterflys and small flowers, rose knob blue painted. 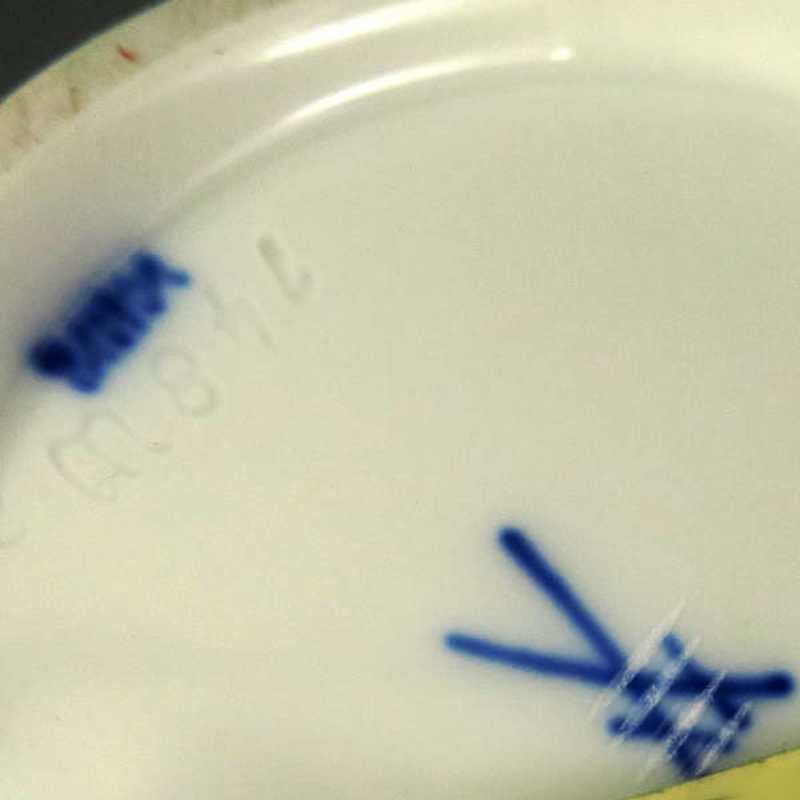 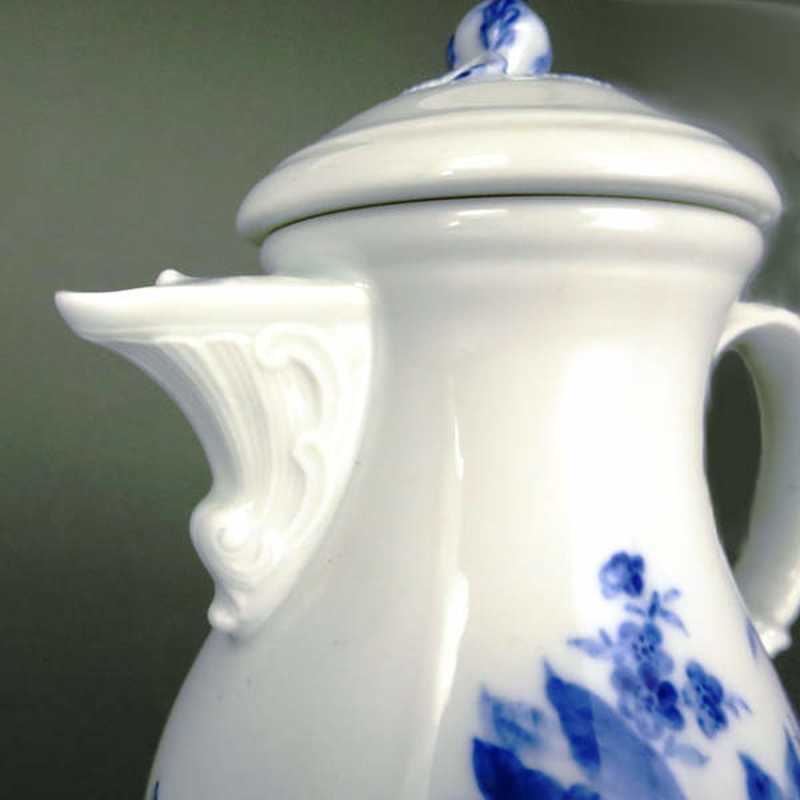 Made in the porcelain maufactory in Meissen, 4th quality class, personall-ware, marked.